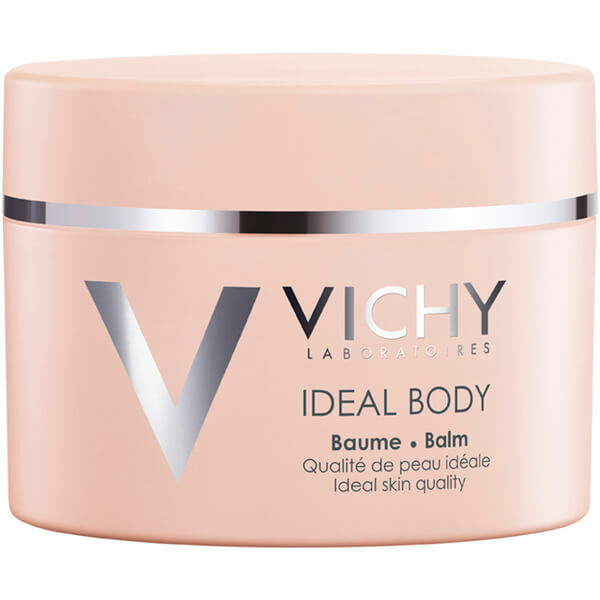 Treat your skin to the Vichy Ideal Body Balm; a rich butter that melts instantly into skin to condition, replenish and moisturise, without greasy or sticky residue. 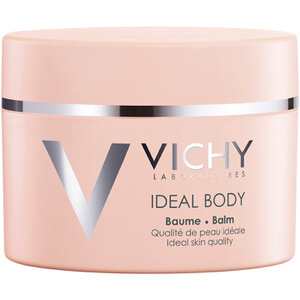 Fortified with Hyaluronic Acid and LHA (Lipo-Hydroxy Acid), the nourishing balm delivers optimum hydration to leave the body smoother and firmer, whilst a blend of ten essential oils, including Jojoba, Rosehip, Apricot Kernel and Sunflower boosts radiance to reveal healthy-looking skin. Shea Butter restores, comforts and softens even the most sensitive skin. Paraben free. Tested under dermatological control. Allergy-tested. Apply to skin that is still slightly damp to boost hydration and the sensation of freshness. Do not use on the face. Aqua/Water, Hydrogenated Polyisobutene, Paraffinum Liquidum, Glycerin, Dimethicone, Butyrospermum Parkii Butter, Zeamays, Elaeis Guineensis Oil, Alcohol Denat., Glyceryl Stearate, Peg-100 Stearate, Butylene Glycol, Hydrogenated Olive Oil Myristyl Esters, Stearyl Alcohol, Myristyl Myristate, Zea Mays Oil, Tin Oxide, Ci 15985, Ci 77891, Ci 77491, Cera Microcristallina, Stearic Acid, Paraffin, Mica, Macadamia Ternifolia Seed Oil, Rosa Canina Fruit Oil, Sorbitan Tristearate, Ribes Nigrum Oil, Methyl Methacrylate Crosspolymer, Isohexadecane, Sodium Hyaluronate, Helianthus Annuus Seed Oil, Sodium Hydroxide, Coriandrum Sativum Oil, Palmitic Acid, Simmondsia Chinensis Oil, Phenoxyethanol, Prunus Armeniaca Kernel Oil, Ammoniumpolyacryldimethyltauramide, Disodiumedta, Caprylyl Glycol, Capryloyl Salicylic Acid, Passiflora Edulis Oil, Xanthan Gum, Synthetic Fluorphlogopite, Pentaerythrityl Tetra-Di-T-Butyl Hydroxyhydrocinnamate, Acrylamide/Sodium Acryloyldimethyltaurate Copolymer, Polysorbate 80, Oryza Sativa Bran Oil, Parfum, Code F.I.L. C168232/1.